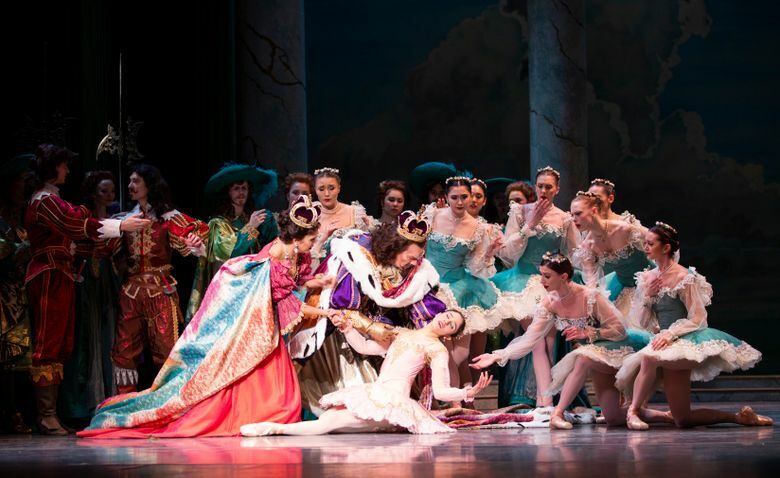 This production of "The Sleeping Beauty" is being presented by Pacific Northwest Ballet for the last time. But there was nothing melancholy about the opening-night performance; it was an occasion of pure joy. There are some dreams from which you don’t want to wake up. One of these is “The Sleeping Beauty,” choreographed by Ronald Hynd, designed by Peter Docherty, and currently onstage at Pacific Northwest Ballet for the last time. (The production, whose glorious sets and costumes are showing a bit of wear if you look closely, is being retired; a new “Sleeping Beauty” will likely replace it at a later date.) Goodbye, seafoam-green tutus with lavender underskirts; goodbye, lacy gold branches tangled like delicate necklaces; goodbye to the way the fairies wave their arms as if being blown in a spring breeze; goodbye to that glorious tableau, complete with flying nymphs lit like a burnished painting, that sends Act I — and Princess Aurora — off to sleep. I’ve loved this production since its 2001 PNB debut, and I’m sorry to see it go. 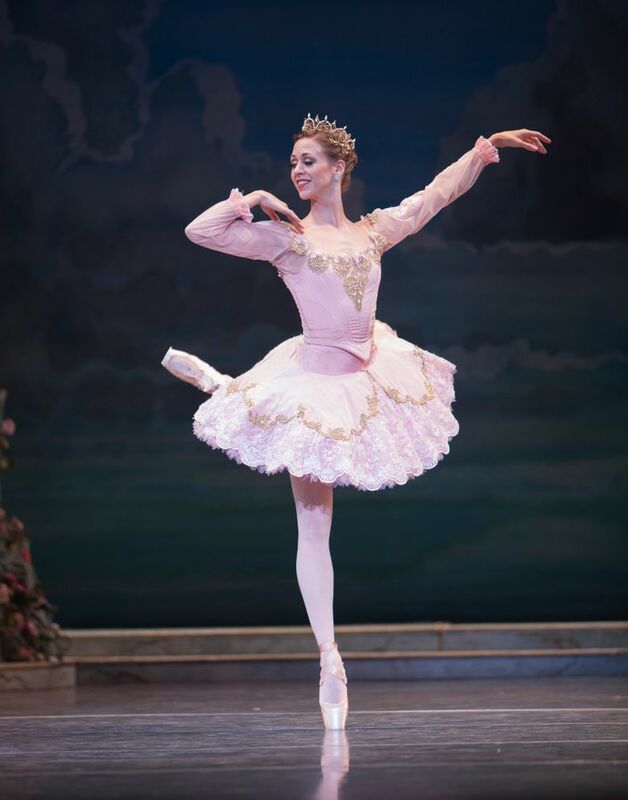 There was, however, nothing melancholy about Friday’s opening night; it was, with the powerhouse role of Aurora in the hands of PNB principal Lesley Rausch, an occasion of pure joy. Rausch, who has grown remarkably as an artist in her years with the company, dances with a glowing confidence; from the minute this Aurora rushes onstage to join her 16th birthday party, you can’t take your eyes off her. The Rose Adagio — and its treacherous balances — was performed with lightness and rapture; you sensed a teenager taking pleasure in her graceful limbs. Rausch found soft tragedy in the vision pas de deux — the real Aurora, bewitched, is asleep, and the dance is in every sense a dream — and a quiet, mature triumph in the grand pas de deux of the final act, flinging herself into the famous “fish dives” with fearless precision. You never doubt that Rausch will execute the steps perfectly; what adds to the beauty is how each becomes part of the eloquent story she is telling. This fairy tale isn’t really about the prince (the patient dancer playing him has to wait through two acts and two intermissions before finally appearing), but Jerome Tisserand made an elegant, courtly partner, occasionally getting a chance to show off the impeccable control of his leaps. Lindsi Dec was a sweetly ethereal Lilac Fairy (sort of the Glinda the Good Witch of the operation), and standouts among the fairy solos were Margaret Mullin’s beautifully light-footed Fairy of Purity, Angelica Generosa’s sparkling, finger-twiddling Fairy of Joy, and Elle Macy, newly promoted to soloist, making something warm and soft of the gently tiptoeing Fairy of Generosity. The Tchaikovsky score, played with verve by PNB’s orchestra, brought its own delicate colors. 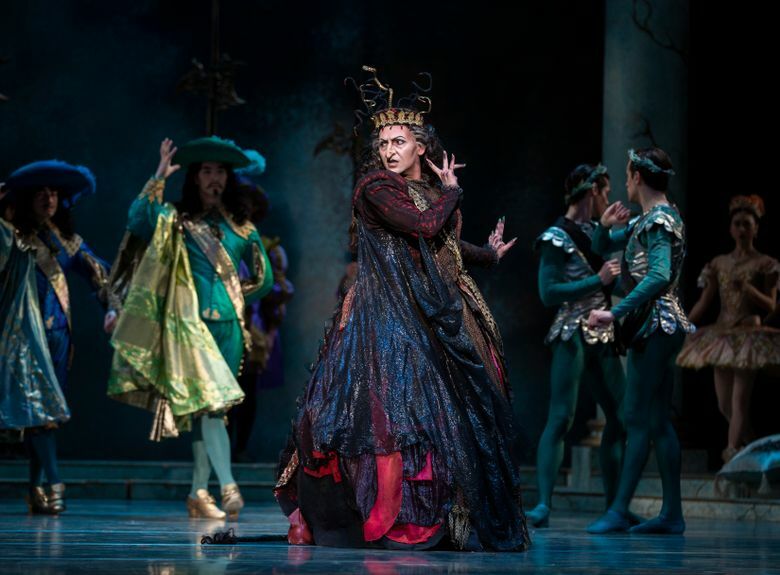 And another goodbye played itself out on stage: Jonathan Porretta, who’s retiring from PNB this year after several injuries (it’s not clear if he’ll be performing again this season), played Carabosse, the wicked fairy who puts a spell on the Princess. Swathed in a voluminous costume, his face concealed by a hood and disguised with elaborate makeup and a hooked nose, his unmistakable showmanship and presence shone through. Watching him, you realize how a favorite dancer brings his own story on stage; one of countless performances and connections and joy. It’s in the nature of ballet that dancers — and, sometimes, dances — eventually move on, but it’s nice to get a moment to appreciate them, before they go.